It is smooth to touch and stable, attractive in appearance. 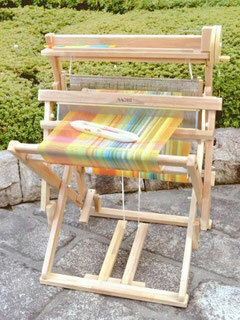 Warp yarn is not included. 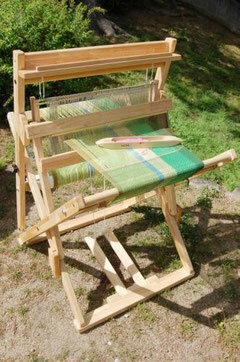 The winder, bobbins and boat shuttle are not included. The winder, bobbins and boat shuttle are included in this model. *Domestic transportation in Japan only. 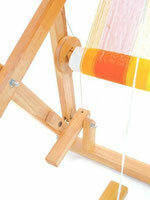 It is simple to wind the cloth roller with this newly added pedal with the wire. 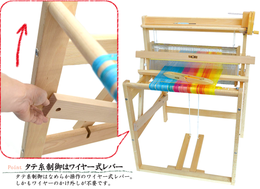 You can detach the warp roller more easily without taking off the wire. 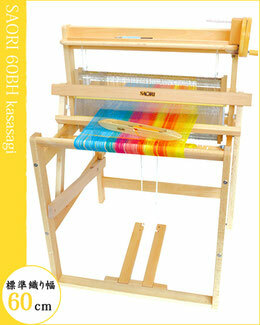 It is good to start with SAORI Kasasagi hand-weaving loom series. You can buy a Closs Holder Bar without Warping Frame for optional.